Throughout 19th-century Europe, one of the most important institutions of social and artistic life was the salon. Here Opera Rara presents the music enjoyed by Europeans at home nearly 200 years ago. Throughout 19th-century Europe, one of the most important institutions of social and artistic life was the salon. Here Opera Rara presents the music enjoyed by Europeans at home nearly 200 years ago. 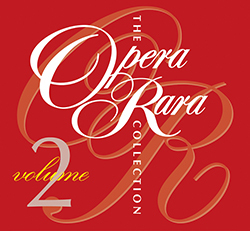 The repertoire in the second volume of the series includes music by several of the leading composers of the day – Giachino Rossini, Saverio Mercadante, Giovanni Simone Mayr, Ferdinando Paer and Giovanni Pacini. 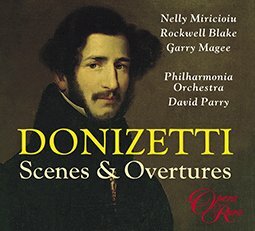 The cantata often drew from classical history or mythology for its subjects and comprise a sequence of movements effectively forming an operatic scene conceived on a domestic scale. 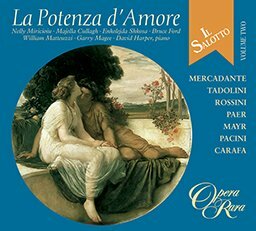 In the hands of the composers of the early Romantic period included on this disc, the form enjoyed its final, magnificent flowering.